The Prince of Fire needs a woman hot enough to withstand his heat, and he finds one who'll set his heart and body on fire, in more ways than one. Darius Storm, the Prince of Fire, is impatient and frustrated to be so far from his home. The foreign world into which he's been thrust lacks magic. And the women lack the inner power and strength to truly connect with him. His work at a local nightclub only brings him into contact with more unsuitable prospects. Until Samantha Brooks walks through the door. She's a beauty with the fiery passion to meet Darius head-on, and a special magic all her own. After enduring centuries of life, Aeros, the captain of the immortal Spartans, discovers his grey existence may end—in the arms of Tabithia. Only Tabithia is a witch guilty of crossing Ares, the god responsible for Aeros' existence. A dark voice summons her in the night, and Fallon can't deny the truth...the visions are back. But will these be her last? As a 911 operator, Fallon Kinkade loves her job, but lately, it isn't enough. And it doesn't seem to keep the memories of her ex-lover, Gil, and the surreal last night she spent with him and his partner, Charlie, at bay. She still dreams of him every night, leaving her hot, wet and so damn horny she could cry. She'd do anything to have one more night with him. But when the city's latest serial killer starts phoning her cell, and throws her headlong into the investigation, not to mention Gil's arms, will she play the part of the duty-bound professional? Or will she do everything she can to ensure the killer isn't the only one who'll wear Gil's handcuffs? Federal Agent Gil Grant has only two problems. He can't catch a break on his newest case and he can't forget Fallon. He remembers—in vivid detail—how he controlled the bedroom. But she'd never take him back...or would she? When a strange twist reunites them, will he let his past keep him from showing her how much he still cares? Or will he remind her screaming isn't only for when you're afraid. 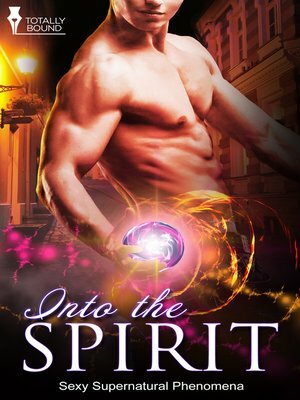 Nothing can kill Caitlyn's love for Aaron O'Brien—not being whisked away to the spirit world by the legendary bean sidhe of her homeland—not even death. When Irish settlers gather from miles around to celebrate Beltane at the O'Brien family's North Carolina estate, Caitlin McCarthy finds herself unexpectedly in the arms of the family's striking heir, Aaron O'Brien.